Schema Therapy (ST) was developed to treat patients with complex disorders, especially personality disorders, with a powerful new set of interventions. Personality disorders, as well as more general problems stemming from early experience and addressed by schema therapy, are a key factor in many disturbed relationships, and as a result ST is now increasingly used for couples work. By dealing effectively with the past, ST offers a unique way to approach and address present difficulties in relationships, Couples who understand their individual patterns of thinking and behavior tend to find that their relationships make much more sense. 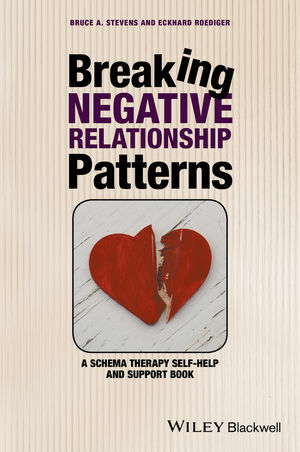 Breaking Negative Relationship Patterns is a readable, practical resource containing a wealth of self-help exercises that schema therapists can recommend or give to their patients. It is the ideal resource for couples undergoing schema therapy, ­and can also serve as an accessible self-help guide for those experiencing relationship difficulties. The authors offer a complete ST-based model for understanding complex personal problems, along with couple-specific adaptations of core ST interventions such as limited reparenting, imagery re-scripting and behavioral pattern breaking. Bruce Stevens is Wicking Professor of Ageing and Practical Theology at Charles Sturt University. He was previously Associate Professor in Clinical Psychology at the University of Canberra, Australia, and Founder of Canberra Clinical and Forensic Psychology. He was Chair of the Canberra section of the Clinical College of the Australian Psychological Society, and gives APS-sponsored workshops on couple therapy throughout Australia. Eckhard Roediger is a neurologist, psychiatrist and psychotherapist based in Frankfurt, Germany. He is a former chief physician of the Salus Klinik Hospital, and is currently Director of the Frankfurt Schema Therapy Institute and President of the ISST. He is author of several German language books on schema therapy. Bruce Stevens and Eckhard Roediger are the co-authors (with Chiara Simeone-DiFrancesco) of Schema Therapy with Couples: A Practitioner's Guide to Healing Relationships (Wiley, 2015).